Yes, the name sounds like someone talking with their mouth full of food. But NaNoWriMo, or National Novel Writing Month, has evolved into an annual, global event, with amateur and accomplished writers chewing through reams of copy since 21 participants first put pen to paper and fingers to keyboards 14 years ago. On the eve of this year’s writing free-for-all, the participant list neared 200,000. NaNoWriMo’s stated goal is to get people writing that novel they always promise themselves to write but don’t because of ― whatever. The competition adds incentives: a deadline, a place to publish and the moral support of others who agree bang out 50,000 words of a new novel between Nov. 1 and Nov. 30, no matter the quality. The word count falls short of typical for novels but exceeds the 40,000 of novellas. To reach the NaNoWriMo goal, participants should aim to produce 1,667 words daily during the contest. Hanging over the whole event is the faint hope of literary success and wide recognition once the first, very rough draft is in hand. Her third novel, Fangirl, began as a NaNoWriMo project two years ago. 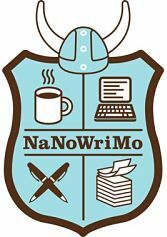 NaNoWriMo’s website contains discussion forums, advice on writing strategy and technique, tips on writing tools and research, and suggestions on who to ask locally for guidance and support. It also delves into self-promotion with a small online store hawking T-shirts, coffee mugs and other items, because registration to the site it free. And, of course, it offers courage. NaNoWriMo “gets you started. It gives you the impetus to finally start, and/or finally finish,” wrote best-selling author Dave Eggers, in a pep talk in 2010. “Knowing there are thousands of others out there trying to do the same, who are using this ridiculous deadline as a cattle-prod and shame deterrent, means goddamnit, you better do it now because you know how to write, and you have fingers, and you have this one life, and during this one life, you should put your words down, and make your voice heard, and then let others hear your voice. For St. Louis-area folks seeking a nice, quiet place to be creative, the Writers’ Room offers its space during NaNoWriMo without charge from 2 to 6:30 p.m. each Wednesday. The Writers’ Room, at 2101 North Locust Street, has workstations, a big table, big leather chairs, the option for mood music, and free coffee. Call 314-669-1872 or email stlwritersroom@gmail.com for details.